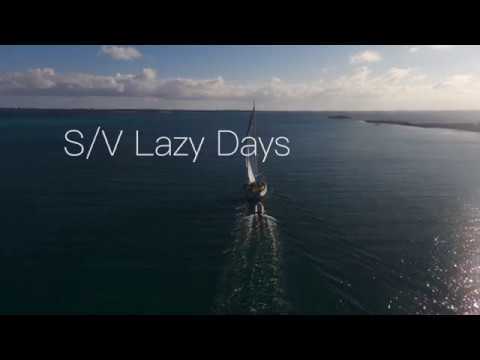 Lazy Days is based in Marsh Harbour, Great Abaco Island in the Bahamas. Marsh Harbour is the third largest center in the Bahamas and is about a 45-minute flight from Fort Lauderdale or Miami. Marsh Harbour is serviced by a number of airlines and also has regular shipping from both Florida and Nassau. The Sea of Abaco is a shallow area of water between the mainland of Abaco Island and the barrier islands such as Great Guana and Man o War Cay. This means that most of the year these waters are ideal for cruising, being protected from big ocean swells and offering a variety of anchorages and small ports. 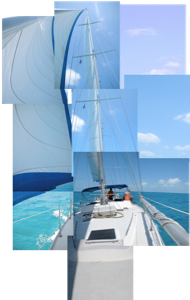 To the north west of Whale Cay stretch a number of interesting destinations such as Green Turtle, Manjack and Spanish Cay. 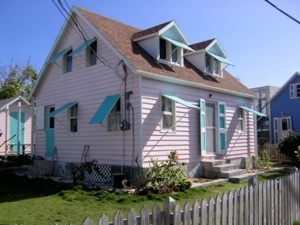 On Elbow Cay is the charming and quaint Hope Town with its historic kerosene fired lighthouse. 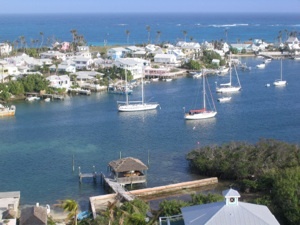 To the south lays Little Harbour the haunt of some of Abaco’s best artists and craftsmen. An interesting stop is the beautiful bay on the northwest end of Great Guana. Some years ago the beautiful Bakers Bay was developed by a cruise ship company as a stop off and play area for their passengers. Unfortunately the depths and dangers of coming inside the reef forced the company to cease operations and for the last nine years the place has been deserted. Buildings still stand among the encroaching bush and an abandoned outside theatre lies silent. For any further information please don’t hesitate to ask. Hope to see you sailing soon.